Blue Flame CMS Limited - Central Heating Engineer, Plumber based in Chingford, Greater London. Invoice history based on 216 reviews. 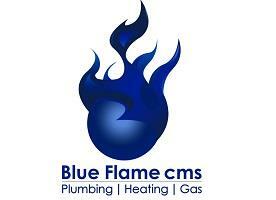 Blue Flame CMS is an East London based firm specialising in plumbing, heating and gas. Our engineers have had extensive experience in the industry and are City & Guilds qualified and Gas Safe registered. We take pride in our work and are continually monitored and vetted by Checkatrade.com. We provide quality workmanship at a reasonable price which is covered by our full public liability insurance policy. We make it a point to understand our client’s needs in order to deliver the best fitting solution. We feel it is important customers are aware of the reasons they had to contact us and encourage questions about the work we offer to ensure they are confident in us and the solution we propose. We aim to exceed our customer’s expectations with the quality of our work and keep our costs transparent promising no hidden charges in order to provide customer satisfaction.